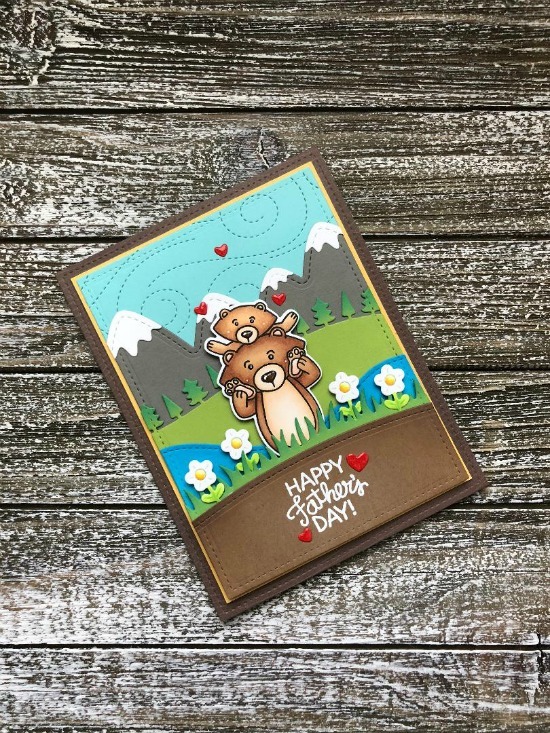 Today we have our first post from our June Guest Designer, Megan Quinn! You may have seen Megans adorable cards as solyciela on Instagram. We are super excited to have her join us this month! We can't wait to share what she had created with our stamps! Keep reading to find out more about Megan today and to check out her first project below! Hi! My name is Megan and I live in the Mountains of North Carolina with my family. I enjoy reading, sewing, but, most of all, card making. My favorite card designs involve making scenes and anything with cute critters. I hope that you enjoy my creations and that they inspire you! Come check me out on Instagram! I wanted to create a wilderness scene for the adorable little bears. I created depth by sponging the cardstock pieces with Distress Oxide Inks and again used my Copic markers to color the die cut flowers. I heat embossed one of the sentiments from the same set in white embossing powder and added some small die cut hearts for a pop of color. After building my scene on the front panel, I adhered it to a contrasting color of cardstock to highlight the main panel. To finish off the front of the card, I popped the front panel up using foam tape and adhered it to a wood grain patterned paper panel. 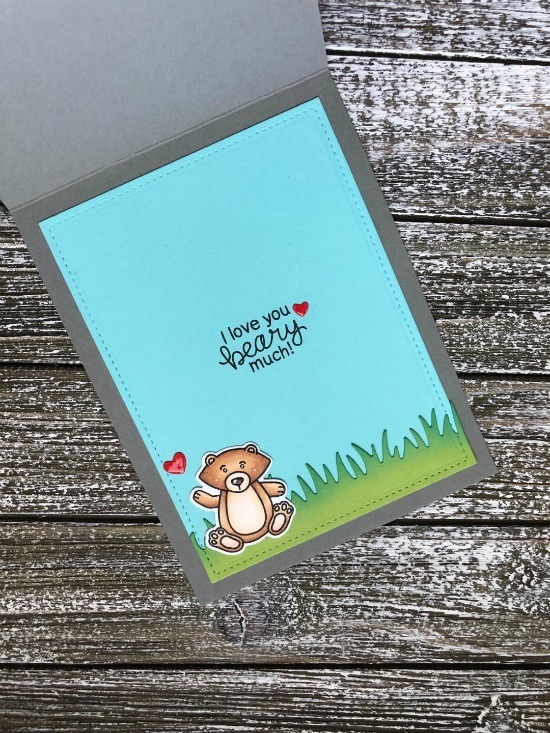 I always try to do something special on the inside of my cards in order to carry over the theme from the front of the card to where I will personalize the card for the recipient. I did this by die cutting a grassy border and sponging it again with Distress Oxide Ink and adhering it to a piece of aqua cardstock. 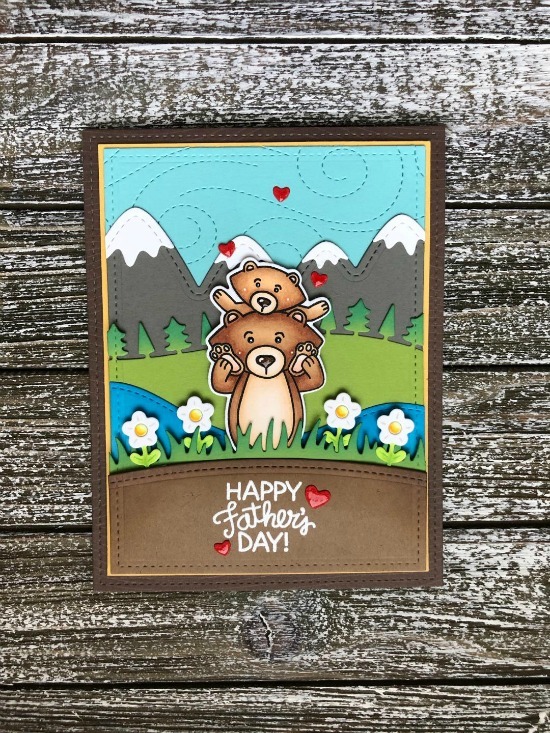 I heat embossed one of the sentiments from the Papa Bear Stamp Set in white embossing powder and glued down the other cub image that I previously colored. To add some fun shine to the bears, I used Glossy Accents on their noses, a black gel pen for their eyes, and a white gel pen for highlights. I hope that you enjoy seeing my card and thank you for stopping by! I will be back next week to share another card with you. I hope that you have a great week and I will see you then!